Earning and retaining our customer’s trust is everything. So, we go above and beyond to provide impeccable service paired with our full suite of test and measurement solutions to contribute to their long-term success. Transcat is an industry recognized leader in providing fast, quality, accredited calibration services with laboratory locations across North America. Transcat offers a large inventory of new and refurbished test and measurement equipment with available calibration at the point of sale. Renting test & measurement equipment from Transcat is a quick and convenient way to reduce cost and maintenance without having to purchase a unit. To instill trust and confidence in every customer interaction by demonstrating how our metrology and product expertise, focus on the highest quality standards, and breadth of product offerings contribute to our customers' success. Our customers can trust that every employee is always focused on achieving these standards. Buy Fluke from the Fluke Experts! With the largest inventory of in-stock Fluke products and optional calibration services, get your Fluke tools faster and ready-to use- from Transcat. Want to hear about the latest new products and Fluke promotions? Our team of Fluke experts is ready to answer your questions! Transcat is proud to be Megger’s largest North American distributor, offering a large inventory of in-stock items. We also offer calibration services and Megger instrument repair services as your full-service Megger solution. 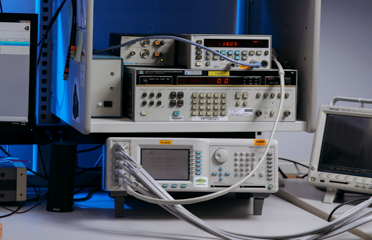 Transcat’s team of factory trained Keysight experts can help you select the right Keysight product for your application, and calibrate it before you receive it, saving you time and money. From pressure to flow, gas & moisture, Transcat stocks all of the top-selling GE products, and we can calibrate them, so your GE instruments are ready to go the moment you receive them! Get the FLIR Accuracy you need from Transcat. Transcat proudly offers the complete line of FLIR industrial cameras and test & measurement equipment – with many items in stock for same day shipment. Make Transcat your source for premium used test & measurement equipment. All our used test equipment is carefully refurbished and undergoes an uncompromising calibration and certification process to ensure it is ready for operation on day one. Transcat used equipment customers are protected by our 10-day, no-questions-asked return policy and by our a one-year warranty.